In fear of turning Chaharshanbeh Souri celebration (Fire Festival) into another uprising against the ruling ominous regime in Iran, the mullahs’ regime continues its deterrent and suppressive measures, and strives to prevent the uprising of the Iranian people. According to Khamenei, all repressive organs, including the Revolutionary Guard Corps, the Basij, intelligence and police forces, and plainclothes agents, have been on full alert since yesterday. The PMOI’s Social Headquarters had called all the Iranian youth on February 21 to turn the Chaharshanbeh Souri into a "new uprising against the dictatorship of the mullahs".  In the last hours before Chaharshanbeh Souri, the “IRGC Cyber Army” wrote very ridiculously on its telegram channel that in light of the recent call by the PMOI for Chaharshanbeh Souri "to disrupt the security of the country, all the people must pay attention to celebrate this ancient feast in their yards with peace and security and having kebab together and do not appear on the streets, and do not allow your children and teens to use explosives and firecrackers or go to the street.” At the same time, the propaganda agencies of the regime are widely propagating that they will broadcast at least ten popular movies from almost all television networks today and tonight! On the other hand, Basij forces and the so-called Ashoura battalions have been told to be stationed in their centers and be stationed in the streets after office hours. Many Basijis, who are always the target of the anger of courageous youth, show up in firefighters’ uniforms in fear of being punished during the Chaharshanbeh Souri. Col. Mehdi Ghadami, a police official, made a hollow claim announcing that in just 72 hours, nearly 8 billion types of incendiary materials have been discovered (Mizan news agency- March 13). Col. Alireza Hajizadeh said about Mashhad's police measures: Given the fact that Vakilabad and Hashemi Blvd are crowded places on Chaharshanbeh Souri, movements of motorcycles have been blocked at this point since this morning, and the ban will intensify after 5:00 pm and motorcycles will be seized at these points (IRNA news agency -March 13). Zahra Sadr-Azam Nouri, a member of Tehran City Council, by saying that " Chaharshanbeh Souri has become a street war", reflected the mullahs’ regime’s fear of the spread of youth protests (Young Journalists Club, affiliated to IRGC -March 13).